Car accidents resulting from road debris are becoming more common. Road debris can make its way to the roads for lots of different reasons. One common cause of road debris is when drivers have items fly out of their vehicles or off their vehicles. Road debris and flying object should be a concern for every motorist, especially in light of new reports revealing thousands of accidents happen as a result of items that fall onto the road. When a collision occurs due to road debris or flying objects, determining the crash cause becomes very important. A person who is responsible for causing an accident to happen can be held liable for losses, even if that person caused the crash because something flew off his car. An Atlanta car accident lawyer can provide help in determining the cause of a collision and in pursuing a claim for compensation against the driver who was responsible. A new report from AAA Foundation for Traffic Safety is raising the alert about road debris. Info on the report was published by The Sentinel, which warned that AAA had found 200,000 collisions between 2011 and 2014 attributed to debris on the roads. In these accidents, 39,000 people got hurt and more than 500 people were killed. The AAA research not only showed a substantial number of accidents caused by debris, but also revealed that the risks of these types of accidents are rising. There has been a 40 percent increase in collision caused by road debris since 2001. Accidents from road debris can happen anywhere, but interstates are the most common site of debris-related car accidents. Most of these accidents happen during the hours when people are most likely to be hauling objects. AAA found that the highest risk hours for debris-related crashes were 10:00 AM to 3:59 PM. When road debris accidents happen, it becomes important to determine the collision cause. The accidents often occur because a driver tries to avoid an object on the road. In fact, 37 percent of all deadly debris-related accidents occurred after a driver swerved his vehicle to try to avoid an object and ended up losing control of the car when trying to overcorrect. However, this does not mean the crash is entirely the fault of the person who swerved the car. Drivers are expected to take steps to avoid having objects fly off their vehicles. Truck drivers need to balance and secure loads, as do other motorists on the road. Heavy objects should be tied down so they cannot come off of cars and hit other motorists or cause motorists to swerve. Loose loads which could result in small pieces of material flying off trucks should be covered with a tarp or net so stop items from coming off. When this does not happen, those responsible for keeping loads secure could potentially be liable for losses if it can be proved their negligence caused a crash to occur. 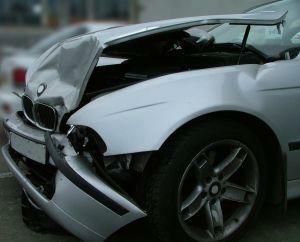 The Atlanta car accident lawyers at Van Sant Law, LLC can represent victims after a collision. Call today at 404-991-5950 or contact us online to schedule your free consultation.